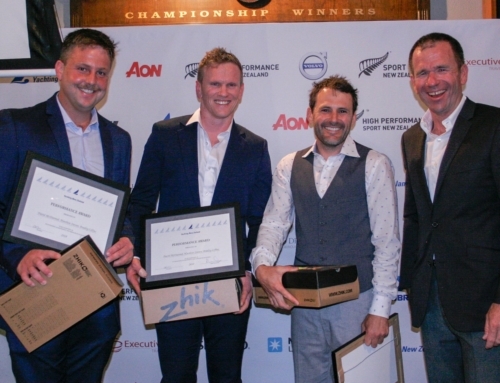 The North Island Flying Fifteen Championship was held last weekend at Gulf Harbour. A fleet made up of sailors from Nelson, Napier, Whangeri, the Bay of Islands and 9 RAYC crews took the opportunity to test out the venue for the 2014 National Championships. Six races in total were completed in a variety of conditions from very shifty offshore to steady building seabreeze. RAYC crews took a clean sweep of the podium with Murray Gilbert and Jon Burgess sailing a consistent series to win the regatta, with Craig Coulam and Adrienne Rekke second, Sally Garrett and Neil Easton third. 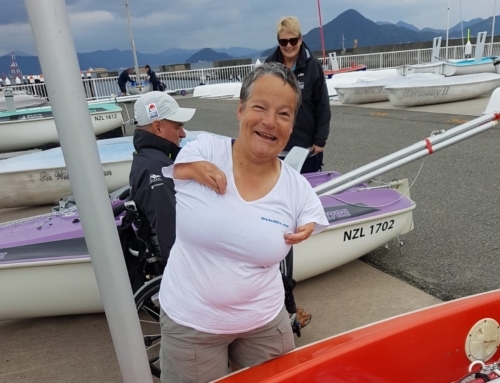 New FF sailors RAYC members Jenny Price and Alison Howitt sailing in their first regatta showed fine speed at times putting pressure on the leading group in the first race, and finishing 6th in the last race. The long standing combination of Fred Price and David McIntyre also showed great speed to pick up several top 5 placings. The competition between these two crews and returning silver boat world champions Megan Rule and Steve Cranch was intense through the event. The next event is the Auckland Champs to be held at RAYC next weekend.